– In Case Your Samsung Mobile Phone Can Connect To A Computer Then It Is Better To Make A Backup Of Your Saved Data Using Samsung Kies Software. – Press And Hold Volume Up Key + Home Key Then Press Power Key. 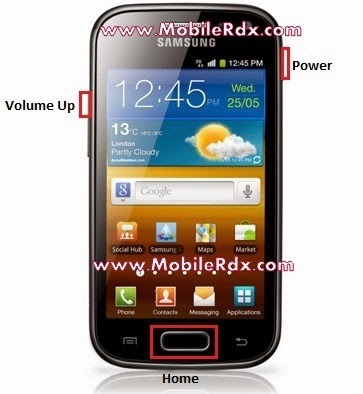 – Use Volume Down Key To Select Wipe Data / Factory Reset Option. – Use Home Key To Confirm. – After Performing The Hard Reset, Select Reboot System Now Option, And Confirm It Using Home Key.